Kuckulino Clock with quartz movement (battery operated). These quartz movement Kuckulino clocks have a battery operated movement. The swing under the clock moves with the ticking of the clock. 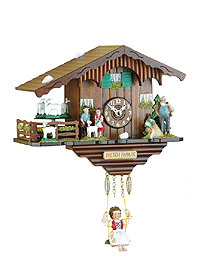 This clock has a special function, there are goats to the left of the clock which turn with the ticking of the clock. 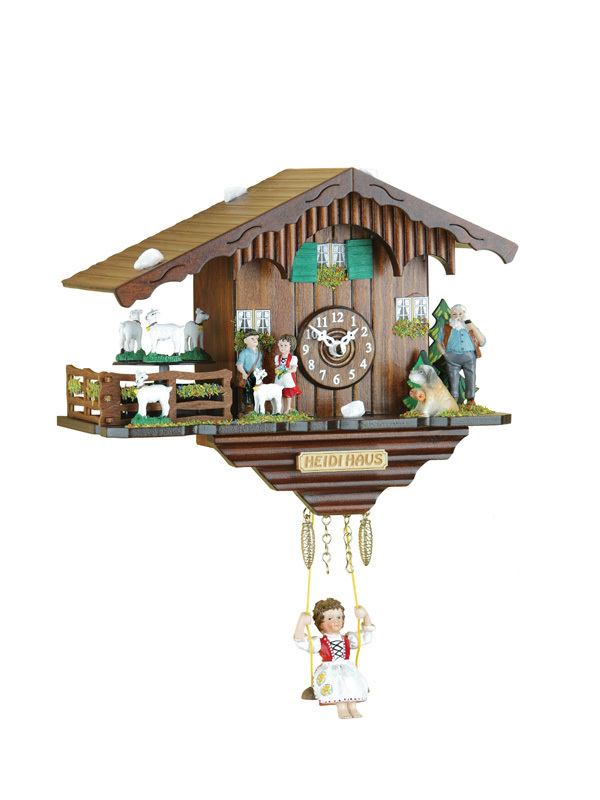 The clock itself is made of wood, hand-made in the Black Forest.